A general screening of the political and human rights arena in Bahrain today reveals the existence of two political camps, each with its own set of political, media, human rights, religious and popular tools. Two dissonant camps, each constitutes a clearly defined solid mass within which the defining lines between political, human rights, sectarian cultural or even ideological aspects are blurred so that within each camp almost one voice prevails over all others in such a way that makes the human rights activist feel that he/she has lost his/her specificity, tools and distinctiveness; and seemed more like a professional politician speaking the language of human rights to attack either the regime or the opposition. In other words the activist has become part of a distinctive political machine. Thus, the matter is no longer a simple mix-up in approach between the political and the human rights aspects. In the midst of the political conflict, even the objectives of human rights activists have been lost. By joining either of the two camps, the affiliated human rights activists ultimately become so engrossed in the political end game, that the methods and approach they adopt are determined by the politician. Today, everything is politicized in Bahrain. One may even dare to say that each and every activist in public affairs has already determined his/her political choices or has automatically become part of one of the two camps. In such an environment, we need to go back to the beginnings and ask ourselves some basic and obvious questions, so as not to lose our sense of direction any more than is the case so far. It is the task of the human rights activist to develop human rights conditions, but this does not necessarily mean clashing with the political regime; as the need may arise to cooperate with it. Otherwise a human rights activist may turn into a political activist, because he/she decided from the outset that human rights objectives can only be achieved through political tools, or through partial or total political change; while acknowledging the impact of the development of the political situation on the human rights one , and vice versa. What answer could I offer? Dictatorship is relative in each country. Some political regimes have agreed to evolve into less repressive regimes or ‘emerging democracies’, to use the more positive modern expression. Consequently, there are two tracks that cannot be confused. The political opposition track, either outside the law, or within the permitted limits in the event of the existence of any legislation permitting the establishment of political parties. The other track is that of human rights activism in? the context of civil society organizations. The error is that when conflict intensified in the political process in Bahrain, the human rights track has been hijacked. The human rights track failed to put up any resistance to salvage even a tiny bit of its independence, as per the international human rights standards which impose the reasonably possible degree of neutrality, objectivity and professionalism. Apart from this, any talk of human rights becomes little more than political justifications. Thus, a human rights advocate is critical of the regime or the opposition, not with a view to improving the human rights situation, but rather for a goal that is pre- determined by a politician in one camp or the other. As a result, the humanitarian value of human rights work is degraded as it becomes merely a means of indicting one party or the other. This goes to the extent where some rejoice over the occurrence of more violations by the regime, as the latter’s mistakes supply them with material for defamation and political condemnation. So, who really cares for the pain of the victims, the blood and the security unrest; or feels the pain of ordinary people? I am not asking the politician to cease activities or abandon their goals; but rather say to the human rights activist: “Why did you abandon your goals? Why have you dropped the humanitarian dimension in your fight for human rights? Your true goal is to reduce the size of human rights violations, and to expand the space of benefits to citizens in the civil and political rights spheres. ?Your goal is not political in the sense that is explained by the politicians on either side of the political divide”. Also, some Bahraini human rights activists do not hesitate at throwing allegations at me such as been an infiltrator, a plant, a political broker, or an opportunist who exploits the pains of others to achieve personal gains, in addition to other allegations they happily feed to regional and international human rights entities. The essence of the dispute lies in what I mentioned above. In other words, it is a dispute over the methodology and approach to the human rights issue. No one can overbid someone with a political opposition background, who has spent nearly a quarter of a century in defence of Bahraini human rights. I understand the difference between political and human rights work. I do realize that my job and specific task is to improve human rights conditions through communication with the government, international organizations, United Nation’s institutions and an extensive network of contacts , while relying on a professional human rights discourse. Working with the government does not mean acceptance or cover up of the violations that occur. In fact, I am doing what other fellow human rights activists are doing. The difference is that I convey documented information and put them in their proper context. 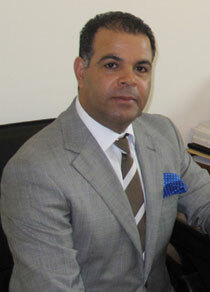 I provide solutions to solve human rights issues and have been successful in many of them. But most importantly is that my purpose in all of this is not political. My purpose in essence and core is purely humanitarian, national and focused on human rights. My human rights work is not intended for the purposes of defamation, embarrassment nor political exploitation. A balanced relationship with the government is indispensable for a human rights advocate. How do you expect to develop a human rights situation by clashing with the government? All International human rights organizations do not clash with governments, but open channels of dialogue and communication with officials, even in the most notorious of dictatorial regimes. It is even more so as we live in a homeland whose political fundamentals we have accepted, and where there is a wide margin for civil society, ?political parties and the media. Would it then be reasonable and wise, if we genuinely want to serve the cause of human rights, to sever relationships with the government and opt to clash with it? How could that possibly be right? In any case, this debate is not new. It has started between me and my colleagues in the Bahrain Centre for Human Rights (BCHR) since we established it together in early 2000. Due to differences in methodology I withdrew from the BCHR. I would like to remind my BCHR colleagues to re-read the objectives and methods of the Centre, which are included in the BCHR Statutes (published in the Official Gazette), so that we could all realize how far or how close we have come towards achieving those objectives, and whether or not we actually use the correct methods and approaches to achieve them. Based on the relationship with the Bahraini government, and through long personal experience, it could be said that there is willingness by the country’s leadership to develop the human rights situation to a large extent. I have discovered that the prime deficiency lies in the lack of understanding of this new paradigm called “human rights according to international standards”. All the State’s institutions have, for more than half a century, been founded on a totally different culture. Hence, the question is how to reshape all these official institutions? How to correct the behaviour of individuals in accordance with human rights standards and controls? How to compel individuals to comply with these standards? I have had the opportunity to meet closely with senior ministers and officials concerned with human rights dossiers. I have talked and listened to them on dozens of emergent or heated human rights issues, pointing out errors, suggesting solutions and criticizing some of the behaviours and legislation. Such activity has contributed to the resolution of several issues. Someone may ask: Why should the regime agree to listen to you? I would think that perhaps the officials have realized that our approach and ends are different. In any case, I am grateful to all those officials for availing me of the opportunity to meet with them and for bearing my sometimes painful criticism and candour. I am grateful to them for enduring my constant irritation and persistence, and for allowing me a window of opportunity to serve human rights in my homeland by accepting little or much of m? demands, proposals and calls. I should also point out, that my human rights’ activities and operational methodology are widely accepted among all international human rights organizations, including the UNHRC. Many of the officials of those organizations closely follow and realize what I am doing, and appreciate the joint cooperation, views and the suggestions I propose. Finally, while we observe that politicians, especially from the opposition, are engaging in human rights activity; human rights activists are also engaging in political action, albeit under human rights pretences. This, once again, raises the question about the need to review the way human rights work is exercised in Bahrain. Without this, we risk having our human rights societies turning into political parties, as their core business. Worse still, we all risk losing our human rights credibility.